Living in Tampa means having to deal with the extreme heat and constant storms. Having the right exterior shutters can help protect both your property and the residents. You can improve the quality of any building, regardless of whether you own a residential or commercial location. Outdoor blinds are often put in place as an aesthetic addition. However, functionality is not something you have to sacrifice when investing in home improvement. Master Aluminum provides homeowners with the best in functionality and looks. Protecting your home from debris and storms means having sturdy frames and blades able to withstand impacts and winds. It is for those reasons and more that clients receive builds constructed of high-quality aluminum. The metal is not only lighter and less expensive than materials like steel, but also more malleable. Malleability translates to custom shapes without sacrificing stability, making it cheaper for the consumer. The harder it is to handle a material, the more difficult it is to install and manage. A common complaint against using metal frames is that they are hard to paint. Many Tampa property owners may expect the dull metal color that most metal covers have. However, using the right techniques, metal frames can look just as amazing as freshly-painted wood. The surface must be completely clear of all impurities and receive a powder coating to help with retention. The process at Master Aluminum follows AAMA specifications #2604 which means stronger color retention. The additional benefit is that it will also last much longer. If you require custom colors, then you can also decide between dozens of standard, matte, and gloss finishes. Clients can quickly decide on the right color scheme to fit the aesthetic of their building best. Tampa property owners do not need to settle for simple generic styles. 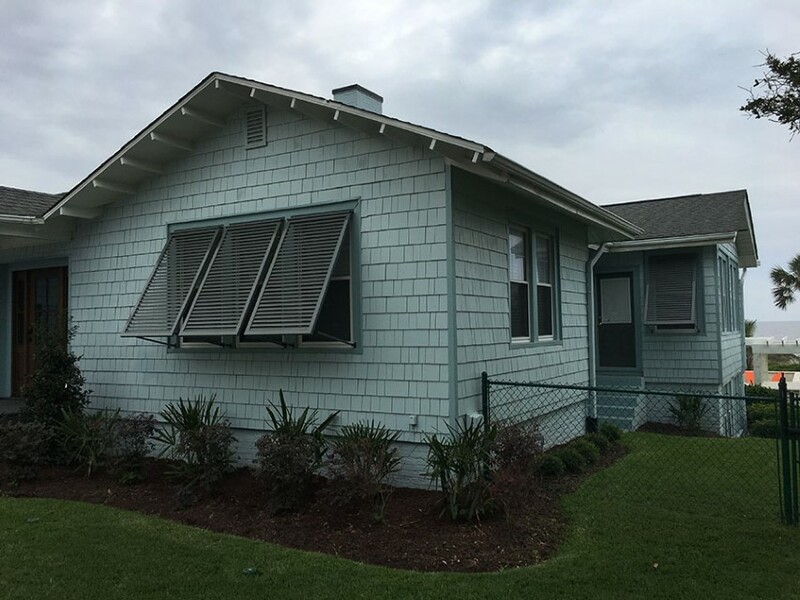 With Bahama and Colonial style exterior shutters, you can gain a beautiful traditional look. Bahama shutters are accessible and useful throughout Florida. They provide the user with the ability to quickly close the exterior shutters in the case of rapidly forming storms like tornadoes. Colonial style frames afford clients more versatility as they can be combined, incorporate arches, and come in standard, bi-fold, and tri-fold designs. Tampa business owners and homeowners can benefit from completely custom sizing. The most challenging part of most home improvement projects is ensuring proper fit and sizing. At Master Aluminum, each order is made to meet your specifications and needs. Our exterior shutters are also not solely for windows. Clients can order custom builds that fit doorways and even gates. Instead of wasting time trying to conform to standard sizes, Tampa buyers can receive the right dimensions without worry. If you are a business owner in need of wholesale prices, then Master Aluminum has the options for you. While clients typically buy wholesale amounts, homeowners can still receive our high-quality products at a lower rate than from most third-party sellers. Cut out the middleman today and order your custom-built aluminum exterior shutters today. Tampa residents can call (727) 725-1744 or visit us online to learn more.